A Georgia Music Foundation Grant was awarded to Nuçi’s Space in 2017 for the St. Mary’s Steeple Restoration Project. 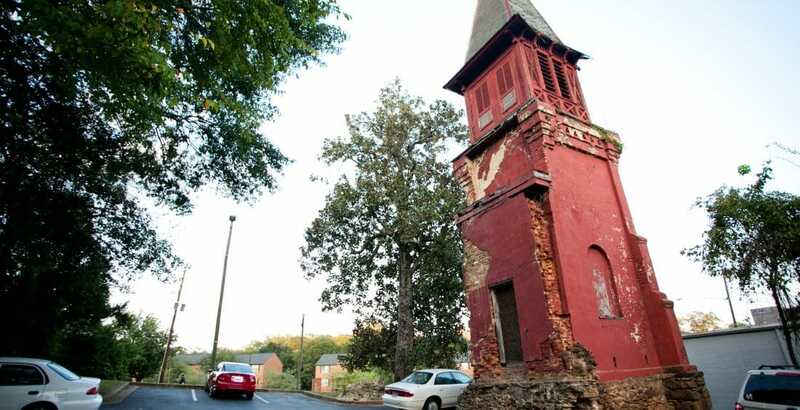 The Steeple is the only remaining fixture of the 145-year-old church at which R.E.M. played its first-ever show on April 5, 1980. Located adjacent to Nuçi’s Space, the Steeple will be incorporated into Nuçi’s property as a meditative area when complete. Whitsel Construction, a firm experienced in historic preservation, has been overseeing the stabilization and restoration. 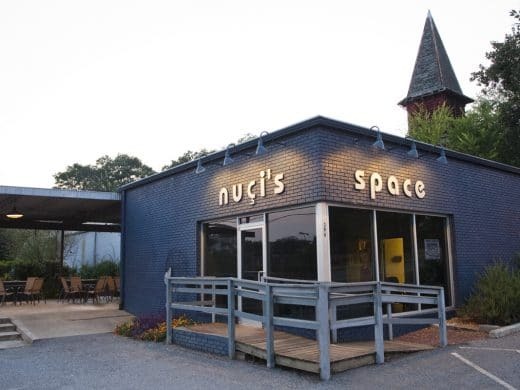 Nuçi’s Space, headquarters of the Nuçi Phillips Memorial Foundation, Inc., is a 501(c)(3) charitable organization, aimed at the prevention of suicide in Athens’ music-making community through the obstacle-free treatment of depression and other related disorders. Nuçi’s Space also encourages young musicians ages 11 to 17 through its successful Camp Amped summer music camp. Participants are grouped into bands and paired with mentors from Athens’ music community, who help them come up with a set list, then learn and practice the chosen songs. Proud parents then watch their children turn into rock stars for a day, when they show off the results of their hard work by performing in the Grand Finale showcase at the end of camp. To learn more, visit Nuçi’s Space.